A controller area network (CAN bus) is a vehicle bus standard designed to allow microcontrollers and devices to communicate with each other in applications without a host computer. The dominant application is automotive electronics for engine control, safety systems, maintenance systems, and infotainment. The Controller Area Network (CAN) controller IP that implements the CAN2.0A, CAN2.0B as well as newer high performance Non ISO CAN-FD protocols. It is compliant to ISO 11898-1:2015 DIS. It can be integrated into devices that require CAN connectivity commonly used in automotive and industrial applications. 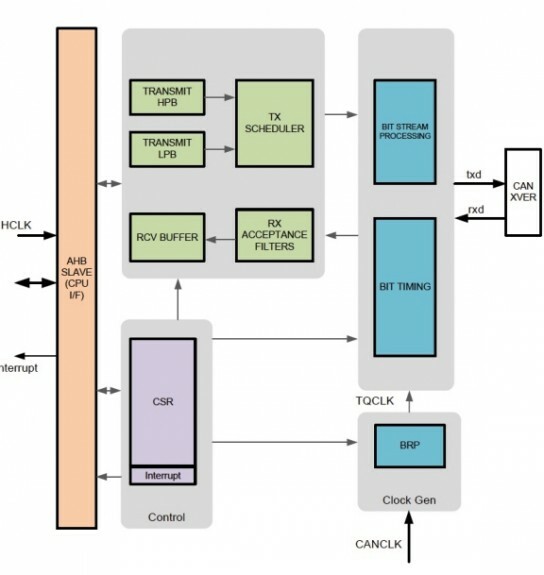 Arasan has implemented CAN 2.0B and CAN FD and will introduce the associated transceiver in 2015.